Better than straw, cheaper than sod, and the fastest way to STOP sheet erosion. Hydroseeding or hydromulching (same-same) is a process where mulch is mixed with seed, fertilizer, tacktifier (glue) and soil amendments to create a slurry that is sprayed onto bare soil. This process enables seeds to rapidly germinate and grow while the mulch keeps the soil and seed in place (limiting erosion and increasing seedling survival). The largest benefits of hydroseeding are limiting erosion, followed closely by increasing seed germination and accelerated germination. While these #'s may not be "scientific", my guess is that you get about 40-50% more seeds to germinate with hydroseeding than you get with hand seeding or using blown straw mulch, and germination at a faster time line. An application where we apply a slurry mix to meet the customers requirements. The requirement may be as simple as a seed mix applied uniformly across the job site, to establishing as seed bed on a cliff. 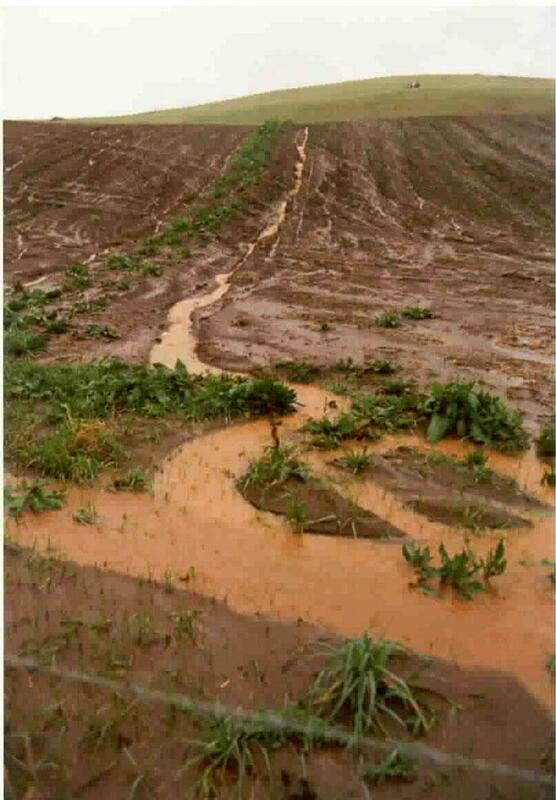 Erosion can be expensive. What was, in years past, a minor concern have now become a potential job stop work order. NCDENR and the EPA are now implementing the new EPA Water Quality standards, which affect most builders. 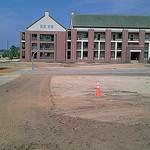 Any site the disturbs more than 1 acre (43560 sf) has higher permitting and performance requirements. Compacted soil will restrict the ability for roots or water to penetrate in the soil for your turf. This problem is very difficult to rectify after seeding or sodding and will take years (multiple) to rectify. 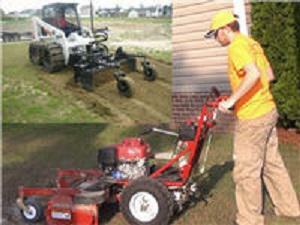 The cheapest, best, and fastest way to address compacted soil is prior to seeding. 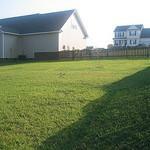 Soil preparation can help or rectify the problems. Additionally, addressing soil compaction improves the environment by enabling water to infiltrate the soil, vs going into the storm drains. Seed selection revolves largely on how large your yard is and how much time you are willing to spend on it. Centipede seed is expensive initially, however cheaper in the long run (year 5+). 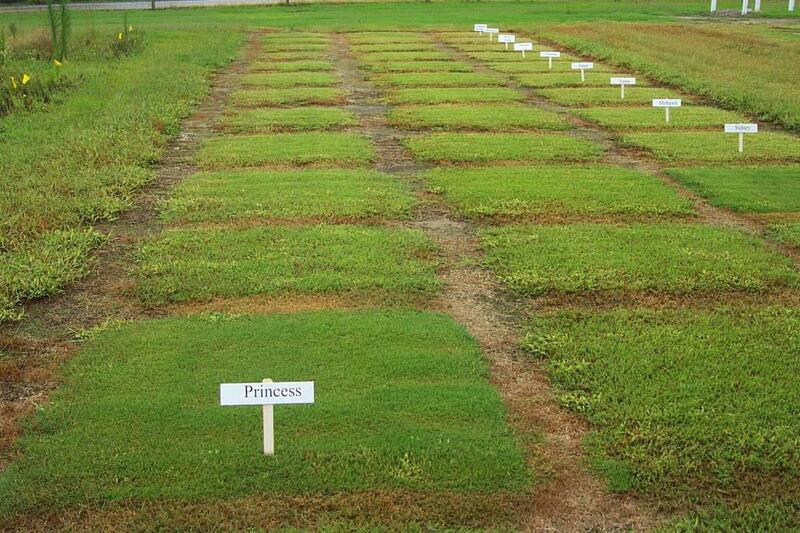 Bermuda can become fully established in 1 year and there are several different varieties (Princess 77 is the premium). Bahia and Centipede are very low maintenance, Bermuda and Zoysia typically require monthly fertilization (May-Sep) and annual liming (Ph adjustment) however both of these turfs rapidly recover from injury (unlike Centipede). Fescue, Bahia, Bluegrass and other turfs are options (SEE SEED SELECTION). 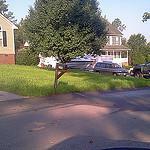 Note: Rye, Fescue, and Bluegrass do not do well in Eastern NC.. The larger the site, the better the savings. 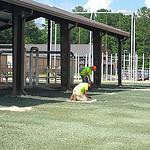 Hydroseeding, silt fence, and you get to pick the seed. Steep slope, not a problem; poor soil, we can add soil amendments to improve the probability of turf without bringing loads of top soil.